You have an amazing eye for style and love collecting some of the more unique items that MLB teams have to offer. 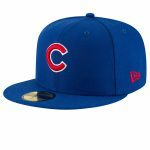 Well, this Chicago Cubs Memorial Day 59FIFTY hat from New Era is what you’ve been looking for. It features amazing Chicago Cubs graphics with an awesome digital camo design that’s used by the Marine Corps. 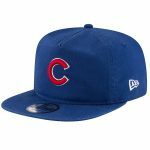 This is a great hat to celebrate the United States and the Chicago Cubs.